This travel guide suggests a walking tour round the heart of Brussels. Its inspiration? Comic Strips. The walk takes us round the most famous views of the city. Encircling the centre of Brussels, the walk also introduces us to the murals created by comic strip artists. 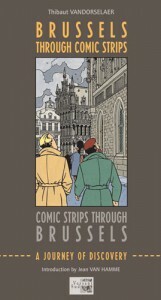 This tour will delight both comic enthusiasts and those who simply love Brussels. Thibaut Vandorselaer is particularly interested in the development of Brussels as well as the creation of comic strips, the ‘9th art’. With a degree in tourism and European Studies, he specialises in environmental management and urban development.